Another day, another trip to the Dollar Tree! I usually visit Dollar about twice a week to check out the new inventory, and I am lucky enough to live near THREE locations. And, of course, they all have different items at different times. If you’re a big fan of Dollar Tree, check out my Dollar Tree tips in my archives. I have over 50 posts about saving money, things to find at your local Dollar Tree, and more! Today I wanted to partner with Life Family Joy to celebrate the movie release of Dumbo. We have been looking forward to this flick for quite some time, and I’ve got the sweetest snack to celebrate made with Dollar Tree candy. 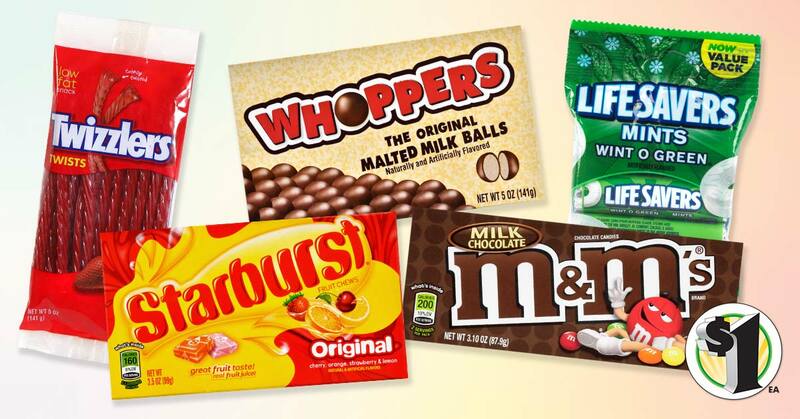 The Dollar Tree is known for having a wide variety of candy for your next colorful candy buffet for a party or a trip to the movies. Yes, you can stop by the Dollar Tree before hitting up the movie theater. I worked at a theater as a teenager, and I distinctly remember being trained that we couldn’t tell someone that they COULDN’T bring in outside food or drinks. While times may have changed, I think you will be okay if you tuck a few boxes in your bag on the way! 😉 I remember people used to bring in whole pizzas to eat during the movie, and I giggled when I would clean a theater and discover empty mini bottles of liquor hiding under the seats. My favorite candy at the Dollar Tree are the boxes of candy like M&Ms, Buncha Crunch (seriously my all-time favorite! ), and Junior Mints. For today’s movie snack, I wanted to bring the circus to our home. Think cotton candy, circus peanuts, and chocolate! I have always seen the cotton candy and the iced animal cookies in stock at Dollar Tree for years now, so you should be able to find those easily. I did have to visit two Dollar Trees to find the circus peanuts, but they were so worth it! The Palmer Snack Mix was new to me, and it included peanut butter cups, cookies and cream bites, peanuts, and pretzels. If you can’t find it, simple use Reese’s mini cups, chocolate chip cookie dough bites (also at the Dollar Tree), and peanuts and mini pretzels. A quick movie night snack to celebrate Dumbo! For another snack idea, try mixing this up with a bag of fresh popcorn. Want to celebrate Dumbo? You are going to LOVE this Dollar Tree pinata craft idea. It’s affordable and oh so cute. Try this Dumbo movie snack made with Dollar Tree candy! Stock up on your favorites and mix up a batch of delicious flavors featuring cotton candy, chocolate, and more!